It is the beginning o 1999. PC gaming, growing alongside the console market, is leading users into the realms of online play and modding. Games like Unreal Tournament, Quake III Arena were having screenshots leaked, whilst the masses were enjoying the recently released third Tomb Raider and Half-Life. Myself? I was pining after Shogo: Mobile Armour Division. However, in spite of the presence of Valve’s revolutionary FPS, a game had been announced on the radar that could have revolutionized how PC games could look. ‘Gameplay over graphics,’ you’ll say, but back then, PC gamers were fretting over what graphics card to purchase. And this did matter; if the graphics card could handle polygons faster, the game could run smoother, and thus be willing to keep the newer games running with less frustrating lag and stutter. Matrox, ATi, 3dfx and Nvidia wanted your cash badly, and if they managed to get the best evolution from their technology, then they would have money-printers. The game was Outcast, developed by Appeal from Belgium. Their voxel engine was set to stun. However, as we’ll find out, they were prevented from scoring a direct hit. Now, you can notice how polygons were all the rage in our Playstation-designed world, forming buildings and figures. When it comes to forming organic, rolling landscapes however, it looks like you’ve taped a load of tiles together and tried to pass it off as countryside (unless you pile in so many polygons that it looks natural, but then you’d need a good computer with a solid performer of a 3D card). It doesn’t work. Voxels could do the job of forming curves and natural shapes a lot better. Before Outcast was released, Novalogic had a hang of how voxels could be used in games. Their Comanche series contained them to make the environment nicely textured, but became blocky-looking when viewed close up. In time, other developers favoured the polygons, but the possibilities regarding voxels remained. Whilst polygons were still needed in the games where voxels appear, voxels weren’t handled by the 3D accelerator cards (or graphics processing unit (GPU), so whilst a voxel-based game wouldn’t benefit from them, they didn’t rely on them to work either. Therefore, a PC with some reasonable power behind it could run a game. Appeal managed to test the water themselves with a game called No Respect, a game ‘dismissed as an unnecessary addition to the shoot-em-up genre’ by one publication. Made in eight months, it gave Appeal a short-term cash injection whilst Outcast was at the three-year point in its development. If the temporary test had less than favourable reviews, then Appeal needed to get its skates on forming a game just as ground-breaking as the technology it was based on. Effort was put into the setting, a parallel world where the gamer endures a free-roaming environment. The hero, Cutter Slade, was animated to stun those that looked upon him and attention was also given to the 1000 NPCs that inhabited the world. They reacted to Cutter’s behaviour and had memories; you shoot one of them, you will not hold yourself in high regard, unless you do something to redeem yourself (if you get the chance). You could try to deprive villages of food, draw beasts away by leading them into something else to hunt, or catch one of the creatures for transportation. It also had an organic game save where, if Cutter uses it, makes a sound alerting anybody in the vicinity, forcing you to choose the best place to use it. It sounds like any other sandbox-world style game you’ve played, but back in 1999, it caught some attention. Infogrames published the game at the end of July 1999, earning a 90% review from PC Gamer and ‘Adventure Game of the Year’ from Gamespot. It had a soundtrack performed by the Moscow Symphony Orchestra. And those graphics … sure, the faces look a little weird but the game wasn’t built on facial detail. It was constructed on a software-based graphics engine that helped zoom in on specific areas of the scenery, turning a look through binoculars or a telescopic sight into an exhibition of how pin-sharp detail can be achieved at great distances. Turn off all the visual options and you’ll get around 10 fps [frames per second]; watch out bad slowdown at times, though. At 640 x 480, you’ll get bad frame rates. You’ll get 15fps or more at 320 x 200 with all the options turned on. Now, you can laugh at those days where computer game journalists were testing the best games on something with a fraction of the power of the computer you’re using to look at this blog now. But remember, if all you had to go on was the information given about the specs at the time, then you would no doubt be wishing for a higher-spec PC once you tried to load the game. Many people must have taken a look at the game when they installed it and considered it unplayable. The fact that everybody’s 3D card support was, excuse the pun, virtually unhelpful condemned the game into needing a beast of a high-end PC to run it. And not many people had those. 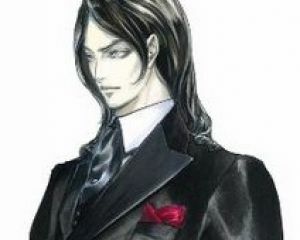 Appeal went bankrupt trying to make a sequel on the PlayStation 2, failing to earn enough funds from their publisher. A remake was planned on the Dreamcast, but was canned after one look at the sales of the original. And you know what the funny thing is? Today we have computers that are powerful enough to take advantage of the voxel graphics, and Outcast winds up glitching on them. Several patches were released to solve these, but once again, it seems this game always had a rocky time of it. Has there been a game since that has gotten the sales as well as the praise whilst using voxels? Well, Westwood made the vehicles in Command & Conquer: Tiberian Sun and Red Alert 2 using them. Master of Orion III managed to use the technology to render space battles and solar systems, but received mixed reviews with the critics. But the real highlight has been a recent game called Crysis. You might have heard of it. Crytek, the developer, managed to amass the sale of 1.5 million copies of the game with the help of EA and Valve, and it makes the failure of Outcast much more painful, as it came from another European company with a computer game that needed another high-end PC. Looking back, it’s clear that Outcast was way ahead of its time and destroyed its creators because of it. Aside from the odd Build engine game that had used voxel sprites and packs as an option (not to mention Voxelstein 3D, a version of Wolfenstein 3D using voxels for destructible environments), there haven’t been many games that have tapped into the potential that Appeal chipped away at. Ones like Crysis are even more rare. Why, do you ask? The answer lies in the lack of GPU support for them. Yes, we can always use the CPU for the voxel graphics, but why can’t groups like ATi or Nvidia pull their fingers out and experiment a little? It could be that the graphics card developers were focused on trying to keep ahead of the competition by sticking with the ‘safer’ polygons so that nobody risked falling behind with any experimentation with voxels. I’ve tried a couple of search engines for a graphics card that can actually process or deal with voxels, but all I got so far was some kind of medical graphics project designed to render parts of the human body. Very useful for doctors and their patients, but not for gaming. Maybe I’m not searching hard enough. If someone does spot a graphics card that could help voxel-based games, please inform me. And the potential? 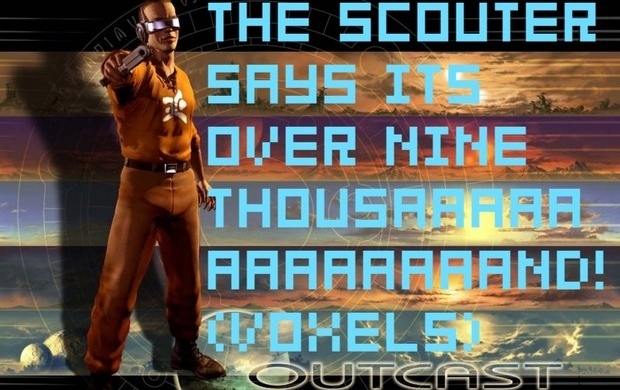 Well, if Outcast was more of a success, or if it was created a little later to take advantage of more powerful computers, then it may have gotten more attention and more developers would be willing to follow Appeal’s route. And the difference in quality of the graphics would have been noticeable. It could have changed the way our games looked and worked. It could have influenced console makers if there was more support from GPU creators. Whole companies could have risen and fallen on how well they harnessed the power of the 3D shape; perhaps different developers would still be in business whilst others went bankrupt. As it is, Crytek may have shoved the bar far too high for anyone other than big companies to take advantage now. If people can put some effort in today, maybe we’ll see a way of helping processing units deal with voxels a little easier than previous games. People can look at past attempts on voxels and maybe see or implement them in a way no-one else has thought of, perhaps even upon that of Crysis. Then the possibility of how PC games look and play will evolve differently. For now, the graphics in our games are constantly improving, and if anyone can see the potential, then they’d better get their skates on. The clock is ticking. Certain facts have been used from the UK publication of PC Gamer and Wikipedia.